1.) Speedy Transaction. If you need to sell your house quickly going through the process of listing the house with a realtor, then making repairs to every minor issues and cosmetic issues can be too time consuming. Selling your property as is and working with a reputable investment company can speed the transaction up to as little as a few days from contract signing to closing. 2.) No need to clean out the house. That’s right all of the treasures in the basement of an inherited home or rental property that you don’t know what to do with…you can leave them. You don’t have to take the time to sort through them and haul them all to the dump, let the buyer deal with it. 3.) Fire or Weather Damage to the house. If your property has been damaged and you have an insurance payment but don’t want or need the house repaired, sell it as is and move on to your next property. 4.) Divorce or Inherited a Property you can’t afford. Often times you can inherit a property or ‘Win’ a house in a divorce, but soon find out you can’t afford the maintenance and associated holding costs on the property. Taxes, maintenance, repairs, utilities add up quickly and can be a burden. 5.) Neighborhood changed. The neighborhood might have changed for the worse, economically, socially or physically. It could be your home or your parents home. As time passes some neighborhoods may not be what they used to be: over time they can drastically change. Maybe your neighbors just can’t keep the noise down. Investors are interested in many areas the typical retail buyer may not want. 6.) Deferred maintenance. 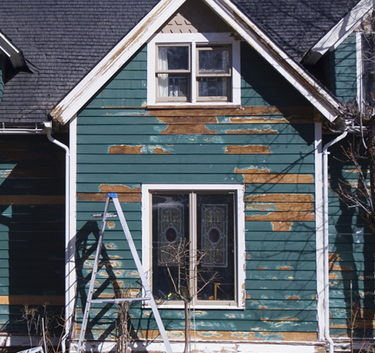 If you are one of those that likes new things, but not tackling home improvement projects; deferred maintenance is a great reason to sell as is. It maybe easier to buy a newer home then go through the hassle of a remodel or replacing the roof and HVAC system. The useful life of many of these items maybe only 15 years. 7.) Military or Job transfer. Many people prefer to relocate rather than make lengthy commutes. Relocation makes it necessary for many to pull up roots and move. If the commuting distance exceeds an hour, most people would prefer not to spend two hours in traffic every day. 9.) Foundation and other major Problems. If your property needs major repairs and you are in over your head or can’t afford to repair the property. Selling a home as is is a good alternative to trying to list it. 10.) Convenience and Peace of Mind. Working with a professional real estate investment company or home buyer like House Sold Easy will make the process of selling your property in as is condition easy for you. You can rest assured the transaction will go smoothly as they are not interested in the same things a conventional home buyer is. Most issues on an Inspection Report and Passing Lender Requirements are not an issue. You can rest assured the property will close when working with House Sold Easy. If you are considering selling your house as is in In St. Louis or St. Charles you can contact House Sold Easy for a Free Home Value Consultation HERE.